The New York Islanders missed the playoffs this season by one point. That’s a tough pill to swallow. Add in how hot they ended the season, with six consecutive wins, and you realize they could have done some damage in the postseason had they got there. While they enter this offseason with Doug Weight as their permanent coach, they have plenty of other questions that must be answered. The Islanders‘ power play was ranked 28th this season. While they were the second best team in the NHL overall following the appointment of Weight, their play with the man-advantage didn’t improve. With so many close games lost this season, a better power play could have helped them into the postseason. And it’s not like they don’t have the talent. From John Tavares and Nick Leddy to Anders Lee and Andrew Ladd, the Isles have the personnel. They just need a new approach. Make no mistake- three things happened this season in the Islanders’ net. Jaroslav Halak’s late-season call-up proved he can still play and start. JF Berube proved he’s not ready to be a backup in the NHL. Thomas Greiss proved 50 games is too much for him. However, if the Islanders can get back to a tandem of Halak and Greiss, they’ll be a playoff team again. 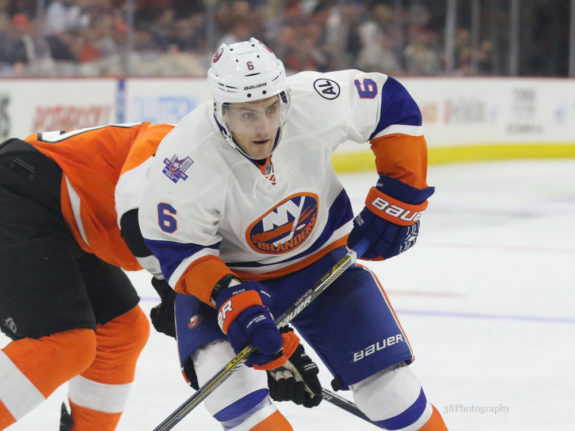 With both of them under contract and a pair of prospects in Linus Soderstrom and Ilya Sorokin, the Islanders have options. Regardless, the three goalie nonsense hasn’t worked and needs to stop. Although Anders Lee led the Islanders in goals this season, Tavares and Ho-Sang are the Islanders’ most dynamic players. Having them together on the same line at five-on-five, or on the powerplay makes sense. Ho-Sang has the ability to be a 40-assist guy in the NHL and if he keeps shooting, 20 goals is not a stretch either. The fact that Tavares plays his best when he has someone to pass to is even more of a reason to put them together, permanently. Once upon a time, Travis Hamonic was arguably the Islanders’ best defenseman. Now he’s coming off an injury-plagued season where he was easily the Islanders’ worst defenseman. Coveted by several teams, Hamonic could be a part of a package deal that gets the team more offense. With Adam Pelech, Scott Mayfield, Devon Toews and Ryan Pulock ready to play in the NHL, Hamonic is expendable. It’s always hard to part with players that have spent their entire career with one team, but Hamonic needs to go. Three 20-goal scorers in Ladd, Jason Chimera and Brock Nelson isn’t enough. Josh Bailey’s career year still won’t get the team to the second round. With a slew of solid players available this offseason, it’s in the Isles’ best interest to acquire another top-six forward. 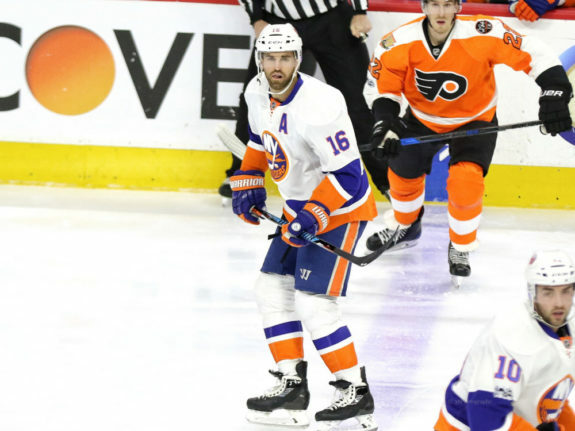 Alan Quine, Shane Prince and Stephen Gionta are hard workers, but the Islanders need to get more dangerous on offense. The only way they get back to the playoffs is if they get more explosive.